Did India’s defense sector FDI limit reforms not go far enough? A top U.S. defense official has indicated that India’s 49 percent limit on foreign direct investment (FDI) in the country’s defense sector will not be adequate to ensure that the United States will be able to transfer sensitive technologies, even as strategic defense cooperation the two countries is steadily increasing. 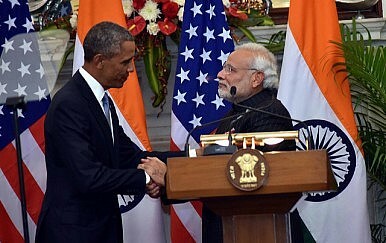 The United States and India, beginning in mid-2012, made increasing cooperation on defense technology and trade a bilateral strategic priority under the framework of the Defense Trade and Technology Initiative (DTTI). Incidentally, then-U.S. Defense Secretary Leon Panetta had Ashton Carter, the current U.S. secretary of defense and then-deputy secretary of defense, take the lead on the initiative from the U.S. side. Shortly after taking office last May, one of Indian Prime Minister Narendra Modi’s first moves to revitalize and revamp India’s indigenous defense industry was to increase the FDI limit for that sector to 49 percent. FDI had previously been capped at 26 percent, with a conditional 49 percent FDI limit for Indian-owned and operated firms. Earlier this year, following U.S. President Barack Obama’s visit to India, the United States and India announced a working group on jet engine technology cooperation. Late this summer, a U.S.-India working group to study the feasibility cooperating on aircraft carrier design and development met for the first time. India is interested in a range of U.S. technologies for its second indigenous aircraft carrier (IAC-2) project, including General Dynamics’ electromagnetic aircraft launch system (EMALS), advanced fighters, and nuclear propulsion. The latter two areas remain the most challenging for the two sides given India’s regulatory climate and U.S. anxieties about technology sharing. Manohar Parrikar's visit to the U.S. was full of "firsts." US, India Expand Strategic and Commercial TiesWhat You Need to Know About Obama's Trip to India9 Takeaways on US-India Ties After Obama's India VisitA War of Words? Conflicting Media Narratives Between India and PakistanThe Alliance of Indian Kings: Can a Coalition Defeat Modi’s BJP in the 2019 Elections?